What a fun day! My Moss and Burlap Wreath is being shared over at A Dust Bunny Life today. You’ll love this site — KariAnne and Kelly highlight easy peasy DIY projects daily and share some hoot-n-holler pod casts about decorating, crafting, and living the “dust bunny life”… check these gals out! And you can also find me at Fancy Little Things today sharing gift ideas for Dads and Grads. Come visit and share your own ideas! I’m always looking for things to add to my Gift Ideas pinboard! 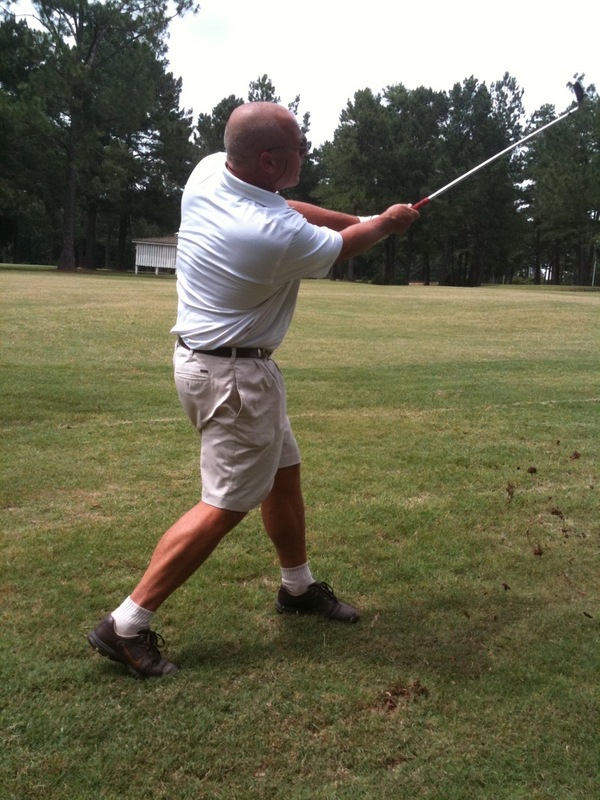 I took this last weekend while he was golfing in Eufaula. 🙂 Isn’t he hunky? Today, we’re headed to this special place to celebrate our anniversary. This is where we tied the knot six years ago… quite literally taking the plunge! 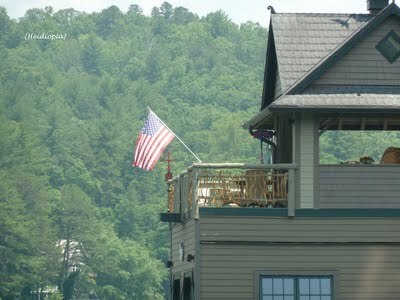 I’ll be posting on Lake Rabun living next week, sharing this slice of paradise in the North Georgia Mountains. And I’ll be updating you on my Outdoor To-Do List, as well. This was a busy week! I figured out to install a new plug-in here (thanks Aimee of byAimee.com!!) so my posts can be pinned directly. And after consultation with Aimee, I’m also beginning the search for sponsors… more on this to come, but if you’re interested, shoot me an email and let’s talk! I love their new site, so simple and fun! Can’t wait to hear more about the mountains! Well yeah he’s hunky, just look at his calf muscles! He can still swing it with the younger dudes. Happy anniversary to you and your hunk! Kelly @ Eclectically Vintage recently posted..My Garden Grows – in a Mop Bucket?! Thanks for the shout out my wonderful friend….it was a wonderful project! Happy Anniversary! PS I can’t WAIT to see you at Haven! He is hunky. And happy anniversary! And now I’m feeling extra guilty because I promised you an interview and I haven’t finished it yet … but I have a good excuse (I think). I finally jump started my master bedroom remodel that has been stagnant for months now. I post about it on Monday too!